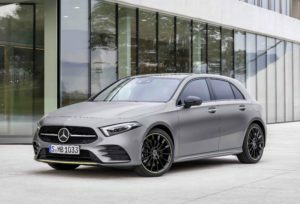 One of the main eye-catchers will be the recently unveiled Mercedes-Benz A-Class which is set to arrive into Ireland immediately ahead of the 182 registrations period. Another newcomer likely to attract attention will be the new facelifted C-Class range, due here hot on the heels of the A-Class in July. First versions will be in coupé and cabriolet form, followed in September by saloon and estate versions.